Mrs. Carolyn Turner Quarels 91, of Dothan AL, transitioned from home to heaven on Friday, August 10, 2018 in Wesley Place in Dothan, Alabama. She was born on June 29, 1927 in Randolph County, Georgia to the late Herbert Lee Turner and Arlen Turner. Carolyn married the late William P. Quarels on November 25, 1970. She lived in Cleveland Ohio, were she attended college and was major in Nursing and Cosmetology. 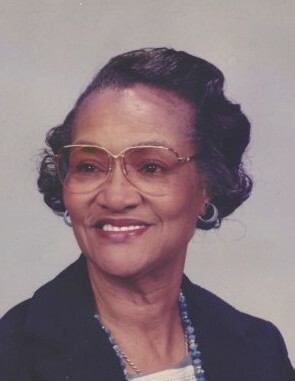 When she retired she moved to Panama City, Florida were she was a faithful member of Saint John Missionary Baptist Church. She enjoyed singing, bowling, reading and volunteering. She was preceded in death by her parents; sister: Dorothy Lee William and one brother: Homer Turner. She leaves to cherish her memories one brother: Johnnie D. (Willie Bell Tuner); one special great niece: Brenda S. Thomas; her caregiver/Niece: Glory Fay Tuner; and special friend: Mr. Charles Bass; and a host of nieces, nephews, cousins and other relatives and friends.